You huff. And you puff. And you blow a fat cloud. But unlike asthma, there is no medicine for vaping. Ever since Americans realized the consequences of smoking cigarettes, the tobacco industry has developed various methods to replace nicotine in the cessation, or halting, of smoking. Nicotine patches, nicotine gum and in recent years, vaping, or the usage of e-cigarettes, have allowed former ex-smokers to gradually wean off of their addiction to nicotine. 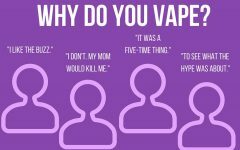 However, as youth culture continues to be defined and redefined in America, vaping has infiltrated the lives of millions of young people ever since it was considered trendy by popular culture icons. Vaping for non smokers has been shown to act as a gateway to smoking. 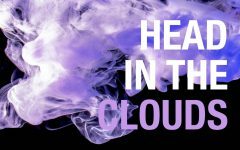 Despite the original intent of e-cigarettes to assist smokers to quit their habit, the nicotine in vapes has proven addictive enough to attract new users. As the user becomes more addicted to nicotine in the vape, they seek out more by vaping through a particular method. Dripping, a process in which users drop vape liquid directly onto the heating coil, allows them to produce a thicker, more flavorful smoke. Even though nicotine is highly addictive, it is only one of many chemicals that is addicting and commonly abused or used. The addictive and habitual desires caused by nicotine from vapes can also be stimulated through the hand to mouth use of the cigarette to simulate a traditional cigarette. The potential drawbacks from this “hand to mouth” syndrome are weight gain and vaping after smoking. Furthermore, vapes cause long-term health effects, such as increasing the risk of cancer and cardiovascular diseases. Even without dripping, e-cigarettes have long-term health consequences. Critics have accused e-cigarettes of being a gateway to drugs, but this is not necessarily the case. 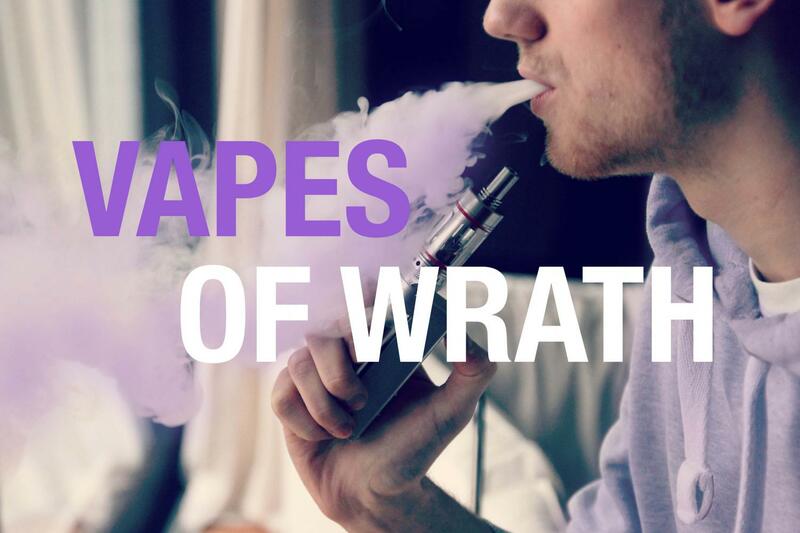 Despite the high risks, little is being done to expose the dangers of vaping. yeah !There are many true lines in this article about vape health issues but i think there are many other positive aspects also associated with vaping like it can be helpful to quit smoking as smoking is very dangerous for health and as far as vape concerned with teenagers it is banned for all the under 18 years kids.For further information , for the people which wanna switch from cigarette to e-cigarette and want to buy vape things at wholesale rate visit http://www.ecigarettes-wholesale.uk .